Cushion foundation has been a hit since it was launched a while back and lots of brands have been competing to create cushions. 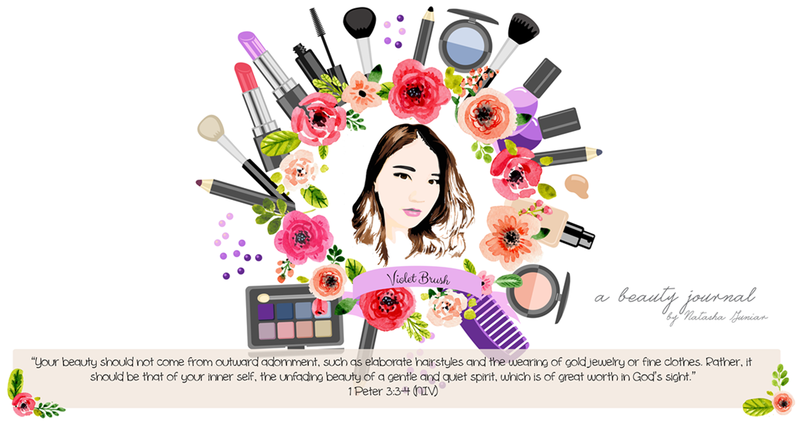 This is why cushion can be found in almost every Korean cosmetics brands' line of products and LAQLANC is no exception. 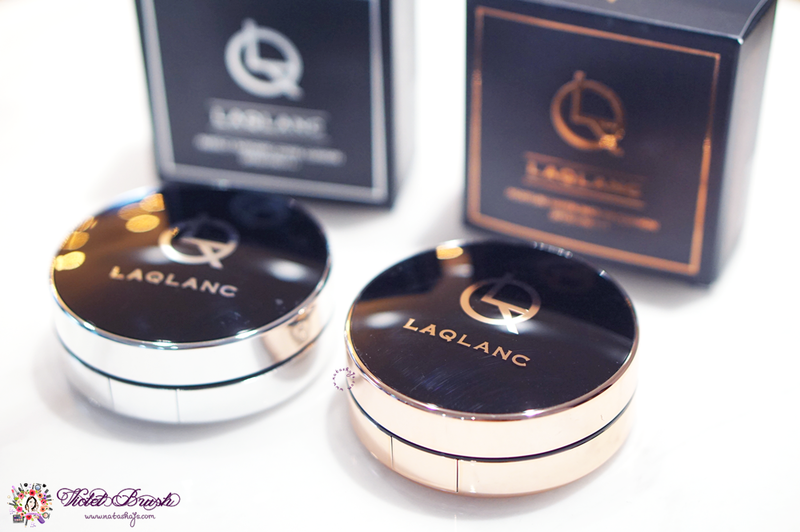 Upon its release, LAQLANC introduced tow types of cushion for two different skin types. Read more below! Contains da Mask rose water essence instead of purified water for matte but moist skin. Exceptional coverage for flawless-looking skin. Powdery finish to maintain fresh-looking skin without being cakey. Light-weighted on the skin. Contains bamboo water instead of purified water for clean and clear-looking skin. 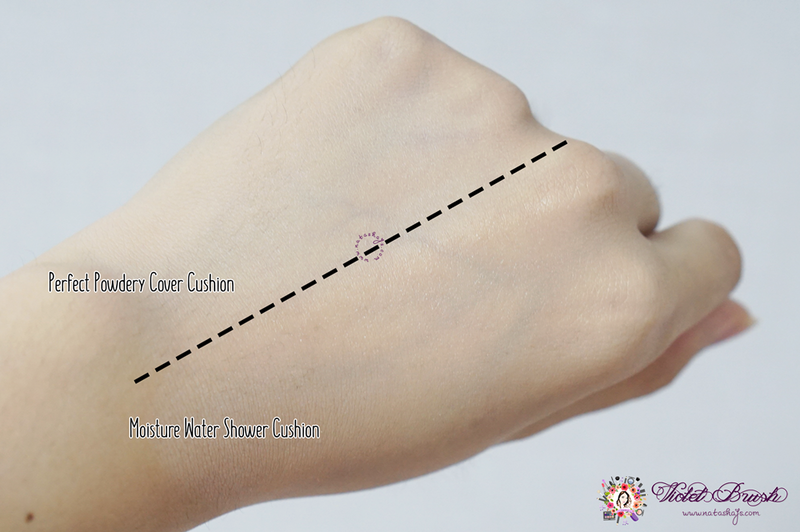 45.72% moisture content makes the skin feels moist and smooth. Maintains bright and transparent-looking skin for a long time without darkening. 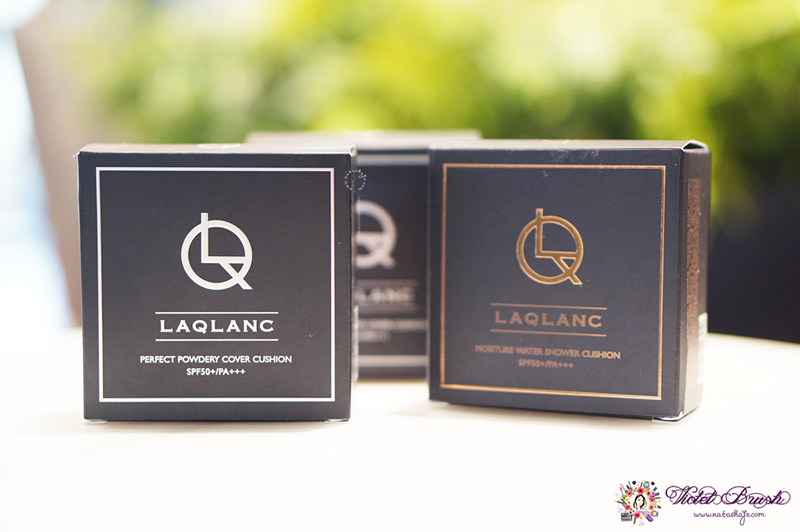 Both LAQLANC's Perfect Powdery Cover Cushion and LAQLANC's Moisture Water Shower Cushion have common cushion cases with black in dominance and silver for Perfect Powdery Cover Cushion or rose gold for Moisture Water Shower Cushion. As usual the cushion itself is covered with protective sticker. At a glance, both puffs almost have no difference, except the color difference on the surface. However at closer look, LAQLANC's Moisture Water Shower Cushion has softer puff compared to LAQLANC's Perfect Powdery Cover Cushion. But again, I tried to used each puff for the opposite cushion and the finish has almost zero difference. The fundamental of cushion foundations is the products are absorbed into a cushion sponge. Both of these LAQLANC's cushions have abundant amount of products to the point that you need to press the cushion puff very softly so that you won't get too much product. LAQLANC's Perfect Powdery Cover Cushion and LAQLANC's Moisture Water Shower Cushion also contain SPF 50+/PA+++ so no worries on getting under the sun. I usually go with shade 23 for every of my cushion but this time, I tried both LAQLANC's cushions in shade 21 because someone said that shade 21 suits me more and indeed, it is. 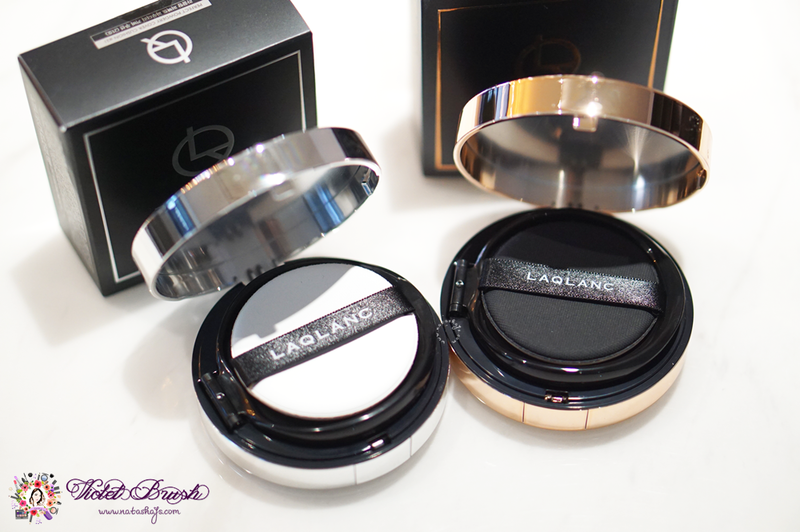 Although LAQLANC's Perfect Powdery Cover Cushion was slightly too light for my skin tone upon application, the shade would suit my skin tone just right after an hour due to oxidation. 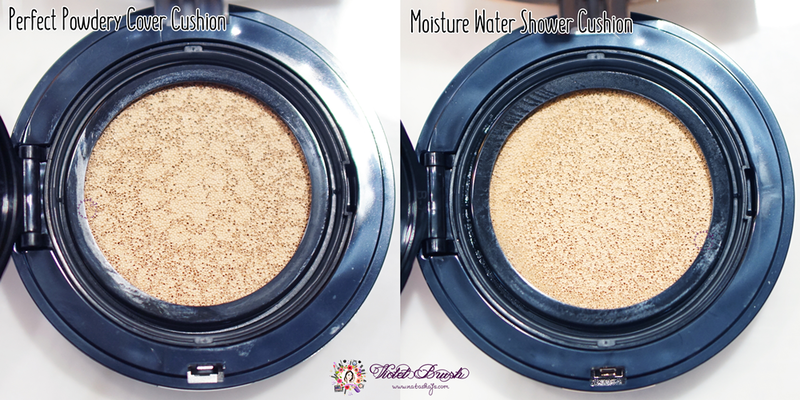 Comparing both LAQLANC's Perfect Powdery Cover Cushion and LAQLANC's Moisture Water Shower Cushion side to side, it can be seen clearly that LAQLANC's Perfect Powdery Cover Cushion has lighter shade compared to LAQLANC's Moisture Water Shower Cushion, even though both are shade 21. Perhaps it is because the shade is originally darker, LAQLANC's Moisture Water Shower Cushion oxidizes less than LAQLANC's Perfect Powdery Cover Cushion. However, after some blending, the shade of both cushions becomes pretty similar, at least at a glance. Both cushions have opposite finish just like their names. 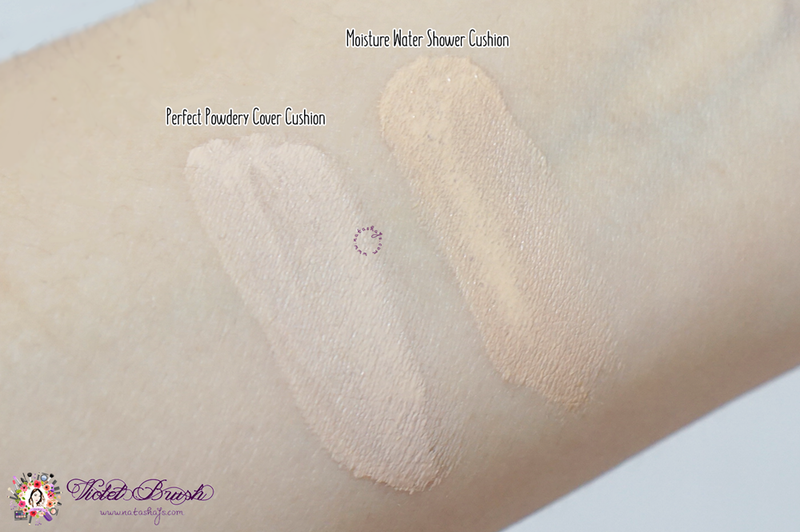 LAQLANC's Perfect Powdery Cover Cushion is more suitable for oily skin with matte finish while LAQLANC's Moisture Water Shower Cushion is more suitable for dry skin with its dewy finish. 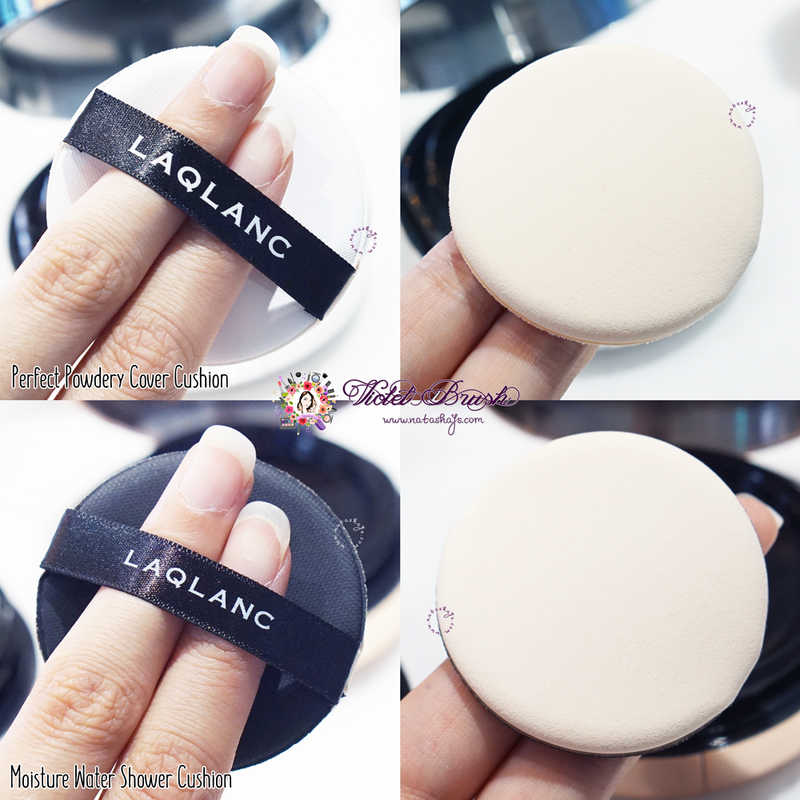 LAQLANC's Perfect Powdery Cover Cushion has powdery finish but still manages to moisturize my skin very well. My skin would normally crack, or flaky the least, if my base makeup is too matte but not with this cushion. I'm happy that my skin's moisture is maintained well but I can still get the matte finish I love so much. In addition, this cushion has pretty high coverage, evens out my uneven skin tones, and last up to 8 hours in not-too-humid weather without getting cakey. 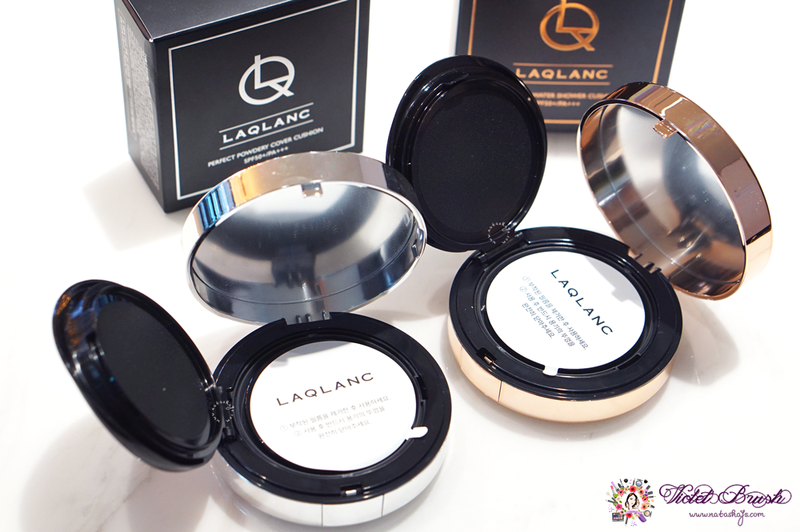 For a high coverage cushion, LAQLANC's Perfect Powdery Cover Cushion is pretty lightweight on the skin. On the other hand, LAQLANC's Moisture Water Shower Cushion has the dewy finish that Koreans like so much. I can literally see the shine and it's very sheer compared to the other one. The texture also feels almost like water on the skin. This cushion also has lower coverage, almost to none but still able to even out minor uneven skin tones and stays up to 6 hours without getting cakey. Personally, I think this cushion would be perfect for the dry winter season with its high moisturizing formula. Join my giveaway here to win these cushions! cocok untuk warna kulit apapun ci? atau ada shadenya gitu . btw jadi pengennn banget punya hehehe semoga bisa menang giveaway. hahaha thank you for visiting! good luck ya!